Week 2 of the Month of Challenges at The Lilypad is complete. So far I have completed all of the challenges except yesterday's. It's a double page challenge, which should be fairly easy for me, but I was focusing on my weekly double page yesterday so I didn't get it complete. No worries, I'll work on it tonight. Last week I shared a little about MOC and the pages that I completed. It proved to be a little more difficult this week to get my pages done, since we are back to a full schedule, but I did it! Day 8 was an "All About...." Challenge. Scrap something "All About" something. 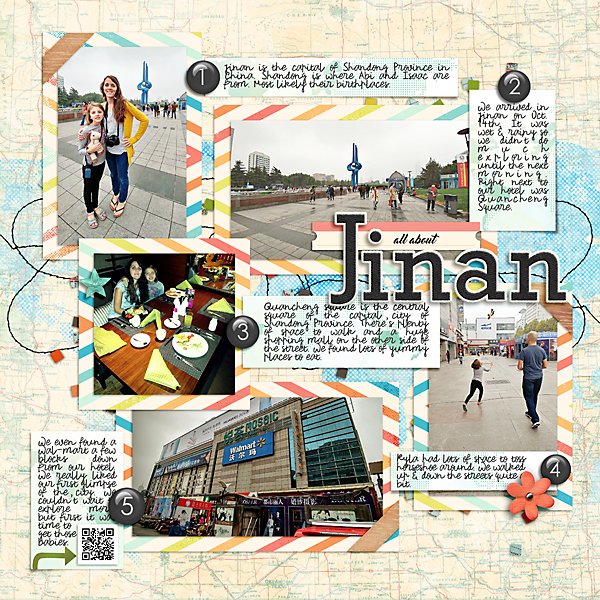 So, I scrapped All About Jinan. It's the capital city of the province of where our two newest kids are from. 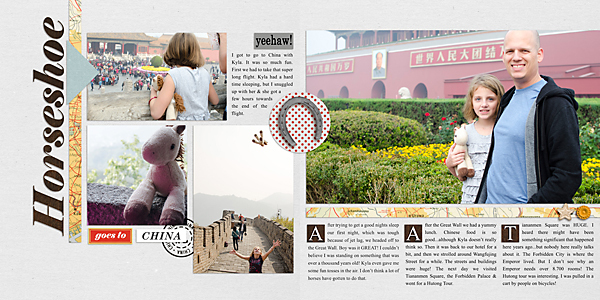 I'll include this page in our China album. Day 9 was a Clean and Simple Challenge. 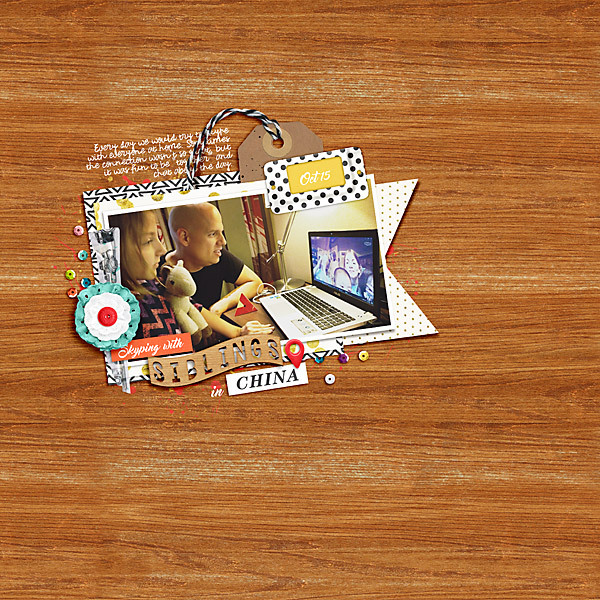 Use a small area or your page with 6 elements or less. This was a little tough, mainly because I have so many photos I want to scrap, but in the end I'm so glad I scrapped this photo on a single page. I think it helps depict what we were feeling. It's the moment right before we meet Abigail and Isaac. Day 10 was a Story Telling Challenge where you had to use drop caps in your page somewhere. This page ended up being so fun to create, and I love the drop caps look. I don't think I've ever tried it before. I'll definitely be using that technique again. I told a story from Horseshoe's perspective of China. My hope is to make a whole Horseshoe Album one day for my daughter. 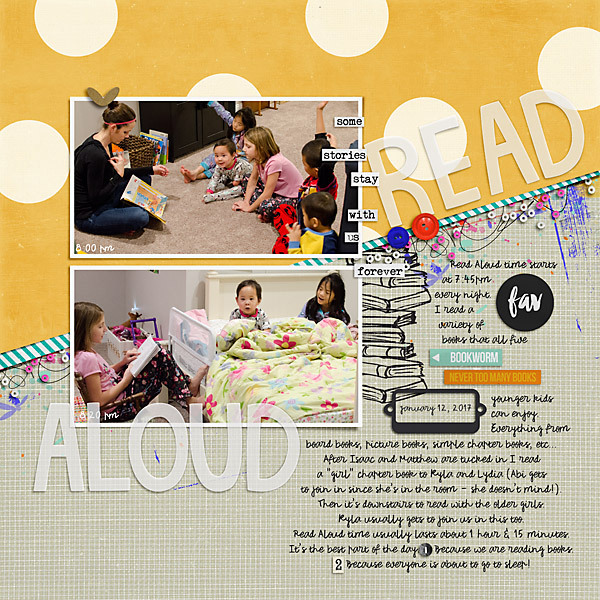 She read the journaling on this page 4 times she loved it so much. 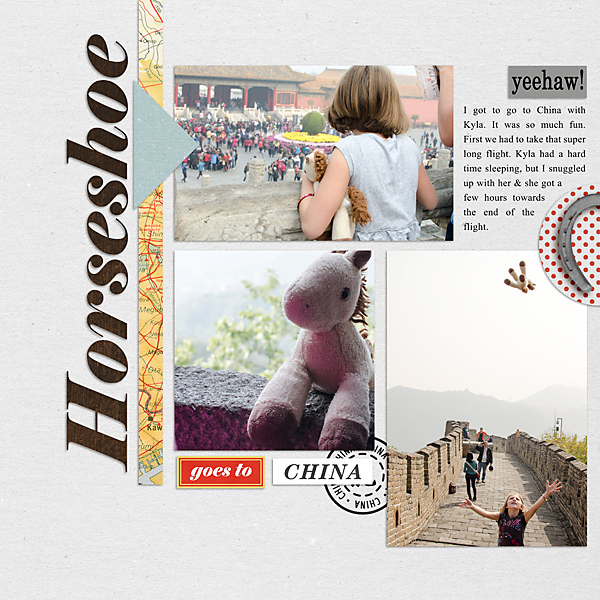 Our daughter brought Horshoe along and we played a little #horshoegoestoChina game on facebook where our friends and family would try to find Horshoe in our photos. It was a lot of fun. Day 11 was a Specific Photo Challenge. This was the toughest one yet. You had to take a new photo at specifically 8:00am or 8:00pm and then scrap about it. I didn't look at the challenge until the end of the day so I had to wait until the next day to take the picture. This made me a little grumpy. LOL! But, I pushed through, got my picture, and I'm so happy with my page, and that I documented this regular daily event in our lives. Day 12 was a Filled Template challenge. 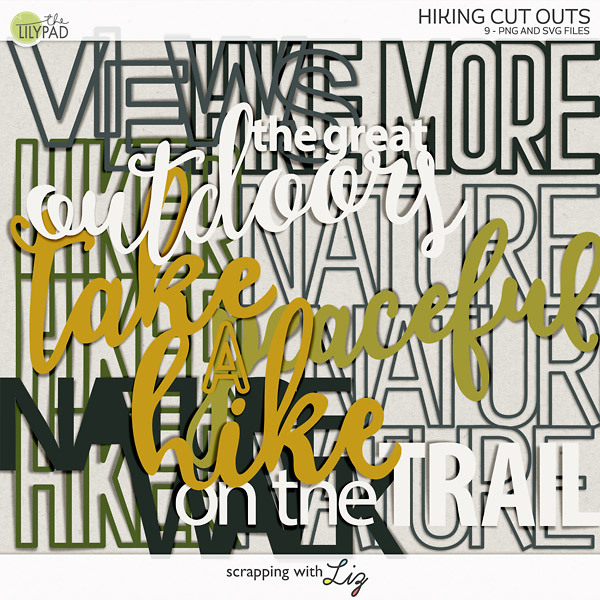 We got to scrap with a beautiful template from Fiddle-dee-dee Designs. There were really no other requirements. 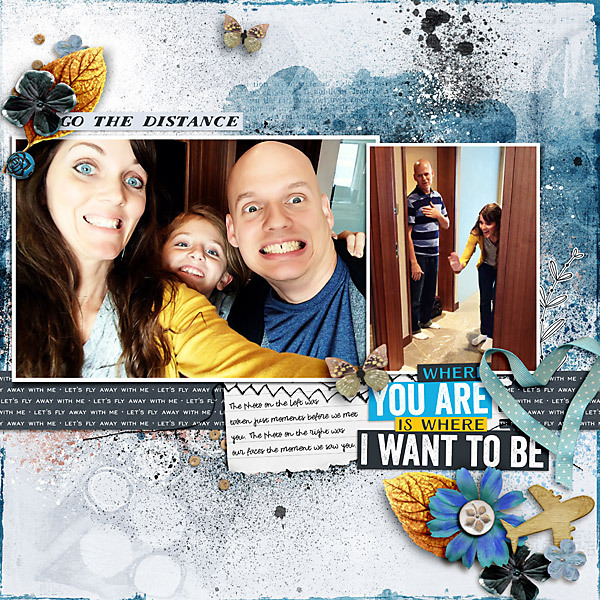 So this was a nice, easy challenge, and Cheryl's template made it even easier! Day 13 was a One Word Journaling Challenge. 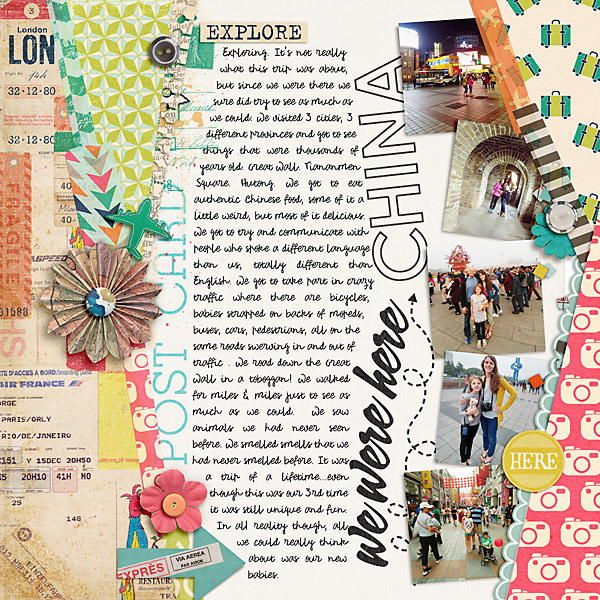 You had to use the word Explore and fill up at least 1/4 of your page with journaling about exploring. 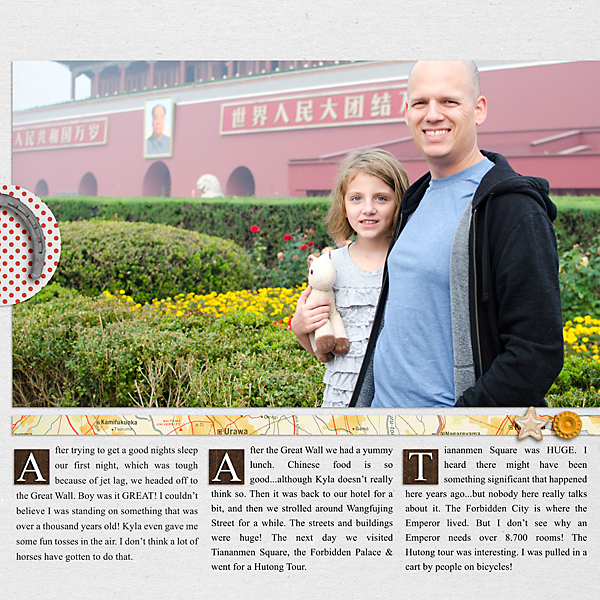 Obviously I chose to scrap about exploring China, all the things we got to do...but ultimately all we could think about was our kiddos! And then, since I've really got this scrap MOJO going on. I participated in my own MIS last Saturday night at The Lilypad. Tracy hosts it. 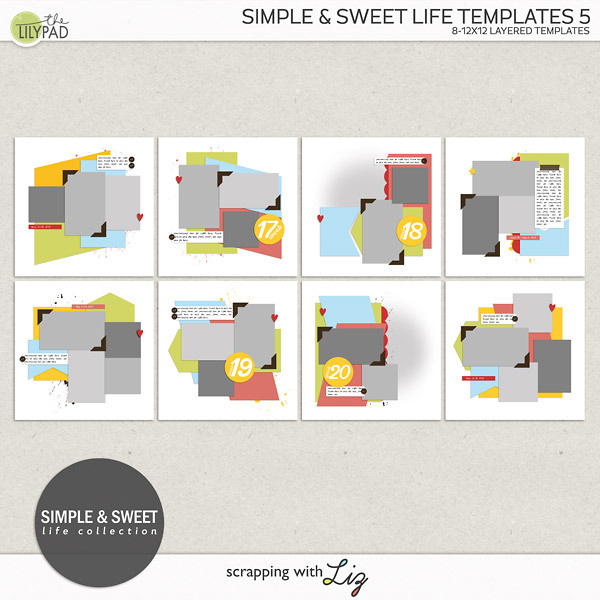 She gives out instructions and then you have 24 hours to scrap (to earn a free template from me) or 1 hour (if you want to be entered to win the $10 prize). These are always inspiring because it gives you instructions to follow. I always have an MIS on the first Saturday night of the month at 7pm. Okay, off to complet my day 14 and maybe day 15 page! I can do this!